Biography: Righteous Ministries International, Inc. began in 2013 with the intention of spreading the Gospel while restoring relationships to God. Benjamin and April want to bring the hope of Jesus throughout the world, illuminating the darkness with truth: especially where man's religion has taken root. Righteous Ministries International, Inc. is equipping individuals in their community by establishing small groups and training up leaders. As part of their small groups, they take 5 to 10 people and minister in nursing homes, hospitals, and provide meals for families in distress. 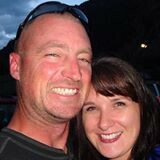 Strengths: Benjamin and April assist pastors and missionaries through fundraisers and attending short term missions.